Driving a vehicle with excellent gas mileage is the most common way to economize – while helping the environment too. 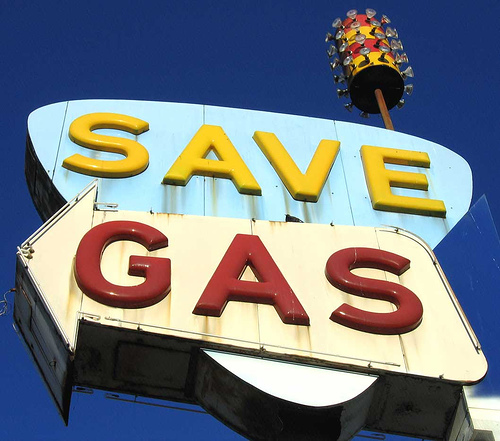 Here are five money-saving tips for better fuel economy. Stopping-and-going on the gas pedal when you’re in a rush or stuck in traffic is hard on your transmission and can nauseate your passengers with the whiplash of your driving. Plus, it can lower your gas mileage by 33% at highway speeds. Driving sensibly improves your fuel economy and keeps you safe. Improper maintenance – or lack thereof – of your vehicle can be detrimental to the parts of your car. Regularly scheduled tune-ups with a certified service technician prolong the life of your vehicle and maximize its efficiency. Consult your service professional to know how often you should check-in. If you have worn down tires, your vehicle isn’t running as smoothly as it should on the road, making your car burn through more gas to compensate. Use a pressure gauge to ensure your tires are inflated. Bonus tip: It’s recommended to keep a slightly lower tire pressure in hot weather and somewhat higher in the cold. Being prepared is great while you’re on the road – to a point. A vehicle’s weight increased by an excess of unused items requires more gas to haul across the street. Declutter your car drive lighter, and smarter. Getting lost and making unscheduled detours can derail your plans and causes unwanted backtracking. Plan your trips to get better gas mileage.